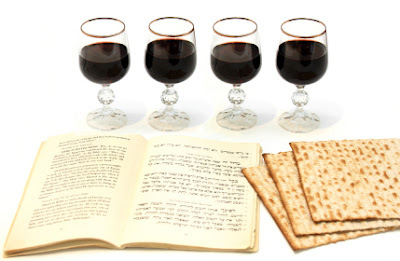 I did some research into the ritual cups of wine in a Passover meal, and it turns out that as long as anyone can remember, the Passover has been celebrated around four cups of wine. At four times during the meal they would (and do) toast with a cup of wine, and with each cup they remembered one of God’s promises to them in slavery. And as I read these promises, I began to wonder if they weren’t just for the Israelites, but maybe there’s a second horizon on these promises, and maybe they were for us too. I want to invite you to wonder with me as we walk through the promises of the Passover. For four hundred years, the descendants of Israel had been forced to work long hours of physical labor, sweating under the heat of the Egyptian sun, afraid of their master’s whips, weeping with despair for the future of their children, praying to the God of Abraham, Isaac and Jacob for deliverance, and one day, God answered...and rescued them with plagues of boils and lice and locust and darkness and as the grand finale, he opened up the Sea and they walked through on dry land. In Jesus’ day, people were carrying heavy burdens, but it wasn’t the Romans packs - even if Rome went away, the burden wouldn’t. Because the burden they were carrying is the same burden that people carry today. That’s the promise of the first cup. In the next post, the second cup.